We sincerely appreciate the support from individuals donating to this project. We want to pay special attention to our donors. Anyone making a donation via the web site, cash, PayPal or by check will receive The Insider newsletter, keeping them informed of our project's progress and letting them see what goes on behind the scenes. 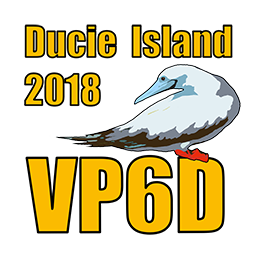 Furthermore, any person donating US $50 or more to our Ducie Island DXpedition, will have the QSL automatically sent for all QSOs, free of charge. These donors do not need to request QSL cards or take any action to redeem the QSL. Our QSL manager will post these cards to all $50 donors as soon as the cards are ready. Click on column header for sorting.